"The Never Ending Cosmic Show"
This sentiment is echoed throughout each poem contained in Riley T. Evan’s newest work, The Never Ending Cosmic Show. Whether he is capturing the innocent beauty of a lover, lamenting the damage man has inflicted on the Earth, or retelling the tale of the creation of our world, the undertones of each poem reflect the fact that everything here the Earth—humans, animals, and plants alike—all have their origins in the same elements that created the stars. The Never Ending Cosmic Show reflects upon our cosmic origins, documenting the beauty and the sadness of the many cycles of the universe—the creation and destruction of stars, the passing of seasons, and the never-ending circle of life perpetuated through man’s birth and death. 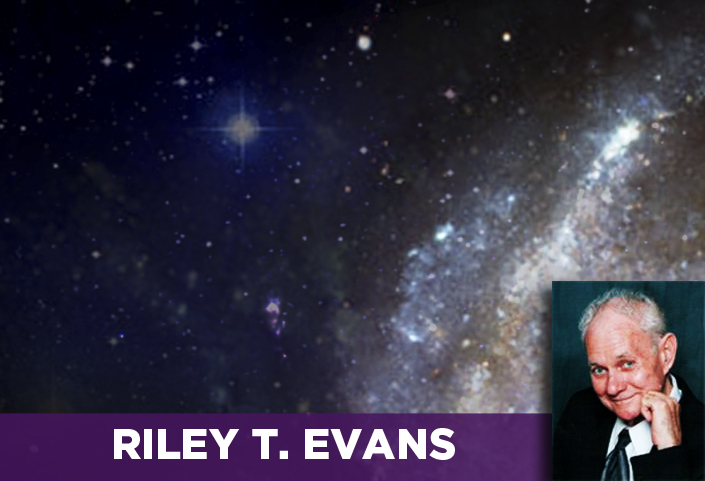 Ultimately, Evans reminds us that even the simplest creature here on Earth is a luminous reflection of the Cosmos.